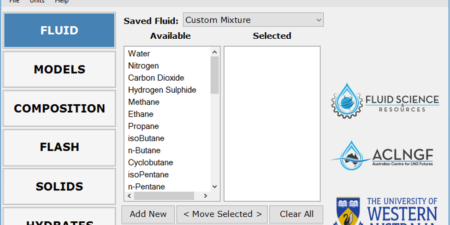 HyFAST simulates hydrate forming systems; from bench-top autoclave apparatus, to flowloops and industrial flowline systems. 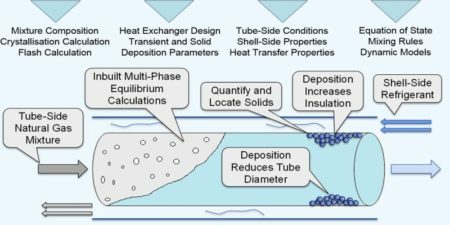 CryoFAST is a simulation tool that has been created for predicting solid deposition risk in cryogenic heat exchangers. 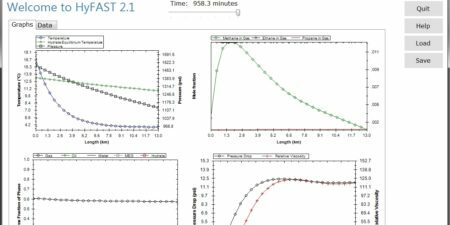 REGEDS is a tool to help determine emulsion droplet size distributions based on 1H nuclear magnetic resonance (NMR) pulsed field gradient (PFG) measurements. 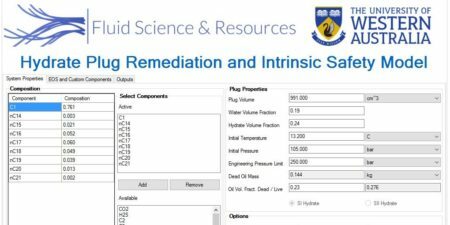 HyPRISM is a simulation tool designed to model the pressure increase in thermally dissociated hydrate plugs in pipelines.